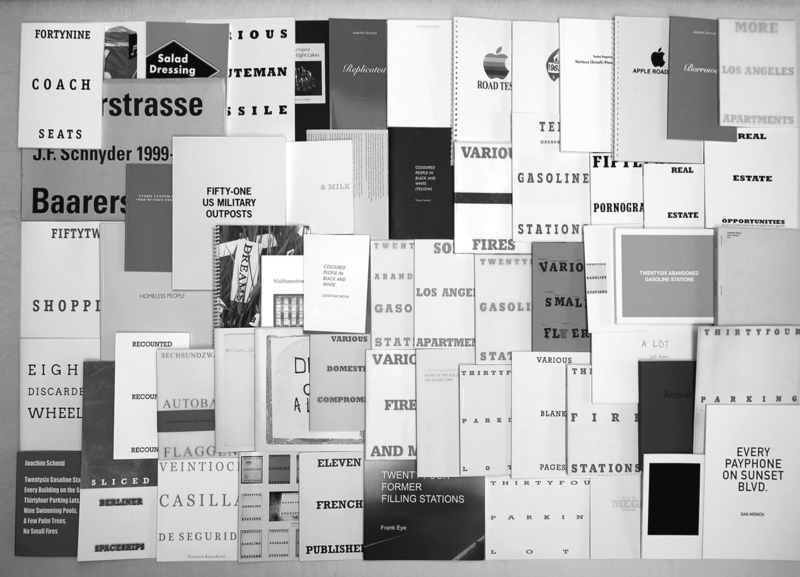 My book Recounted is currently on view in Re: Follow-ed (after Hokusai), an exhibition curated by Tom Sowden and Michalis Pichler at the Cabinet du livre d’artiste in Rennes. The show runs from September 28 to December 3, 2015. You can find the invitation here. This coming Saturday, December 27, I will install One Swimming Pool on the floor of the Teijin auditorium at the Stedelijk Museum. 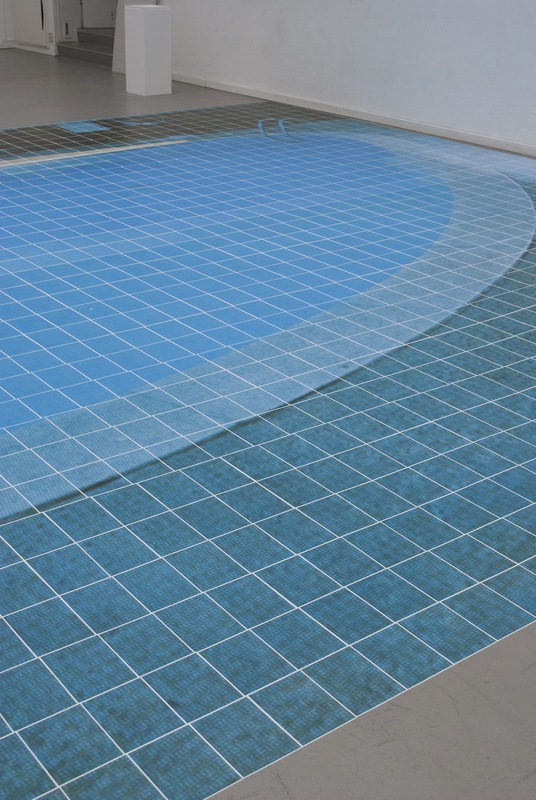 Visit the auditorium between 10 am – 6 pm and watch the pool as it appears. Note this is a one day event, and the final in a series of three such demonstrations. It is connected to the exhibition On the Move. The swimming pool will remain on view in the auditorium during the weekend. More info on the website of the Stedelijk. Tetsuro Miyazaki made a timelapse of my installation of One Swimming Pool at the Stedelijk Museum on November 29. Click here to see it (scroll down on the page). The next, and final, installation in the auditorium of the Stedelijk will be on December 27. The installation takes a day to complete, but will remain on view December 28 as well. This coming Saturday, November 29, I will install One Swimming Pool on the floor of the Teijin auditorium at the Stedelijk Museum. Visit the auditorium between 10 am – 6 pm and watch the pool as it appears. Note this is a one day event, and the second in a series of three such demonstrations. It is connected to the exhibition ‘On the Move’. More info on the website of the Stedelijk. 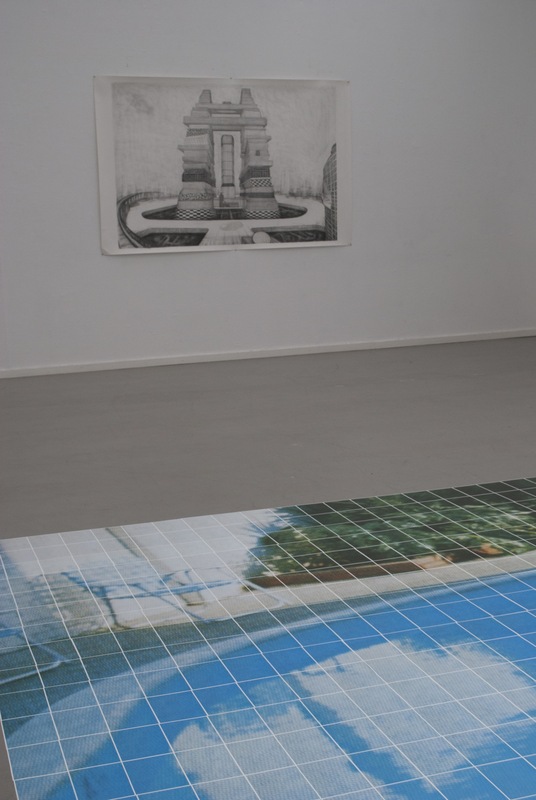 On Saturday 11 October you can come for a swim at the Stedelijk Museum. I will install One Swimming Pool on the floor of the Teijin auditorium. Visit the auditorium between 10 am – 6 pm and watch the pool as it appears. A word of advice if you’re stopping by: it may be best to come in the afternoon. At the beginning of the day the waters may be dangerously shallow for your dive. More info on the website of the Stedelijk. 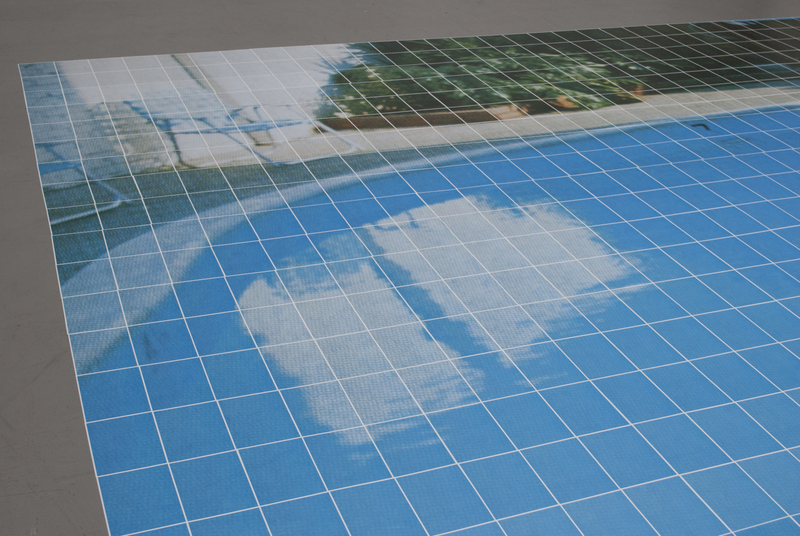 My work One Swimming Pool will be on view at the Stedelijk Museum in Amsterdam. On the Move is the latest edition of the Proposals for Municipal Art Acquisitions that the museum organizes every two years. The exhibition runs from August 29 till January 18, 2015. The opening is on August 28 (19.30-22.00). I’ll also be teaching a couple of workshops for children in the museum. Info about the show from the press release: On the Move focuses on recent developments in photography and reveals the myriad ways in which artists and photographers build their narratives in dialogue with graphic designers. The title On the Move refers to the journeys taken by many of the photographers in creating their projects, as well as the new directions in photography. Last autumn, the Stedelijk invited artists living and/or working in the Netherlands to submit work in which they explore new, playful, critical, and challenging forms of narrativity. The museum received 471 submissions. A jury consisting of Carolien Glazenburg (curator of graphic design, Stedelijk Museum), Anne Ruygt (junior curator of photography, Stedelijk Museum), Ad van Denderen (photographer), Karin Krijgsman (course leader of the photography department at the AKV St. Joost), and Dimitri Nieuwenhuizen (co-founder of design studio LUST) selected 28 submissions from young and emerging artists. The selected works include both existing projects and works never previously exhibited, which are currently being developed especially for the exhibition.